Whilst there are many online personality assessments, did you know that not all personality assessments are as reliable and valid as each other? Are you using personality assessments recommended by others who may not know about the psychometrics behind such tools? Are you purchasing tests from a non-psychologist vendor who lacks expertise in this area? If so, you are now at the right place. Our Registered Psychologists are experts in Personality Assessment and have thoroughly reviewed the personality tools that we offer to ensure that we bring tests with proven reliability and validity to our clients. 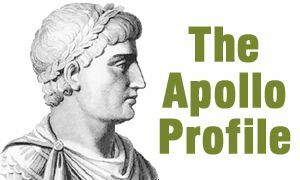 The Apollo Profile is a contemporary personality assessment which assesses 34 factors that are relevant to today’s high performance workplace. The test was developed by Professor Richard Hicks and Mr. Jim Bowden with the twin aims of being firmly related to psychological theory whilst being useful and easy to interpret for managers and other decision-makers. With an impressive database of hundreds of thousands of candidates and real world evidence linking the personality factors to performance in different job roles, the Apollo Profile is an ingenious accomplishment and a tool of choice for individuals and organisations worldwide. Identity® is a modern test developed specifically for use in today’s workplace, Identity reports on 36 “primary” scales that are related to performance at work. Of impressive note is that scientific research with Identity® has shown that this personality assessment actually has greater predictive power than some ability tests. Identity is a precise measure of personality and is easy to understand and learn because the scale labels directly reflect the meaning of the scale. A number of report options are available, including insightful pre-interview reports for a selection panel, a careers report for use in career counselling and a feedback report for the candidate. The content of The Quest Profiler® Personality Assessment lends itself to varied applications within the selection and development field. It provides a comprehensive narrative of a range of traits and work-related styles, including 24 personality scales, leadership style profile, team style profile, culture match indicator, conflict styles, transformational leadership, transactional management, emotional intelligence and predictive competencies. The Quest Profiler® comes as part of an integrated online psychometric assessment system that additionally offers aptitude tests, job analysis-job match, 360 degree performance assessment as well as a culture and engagement survey. We are pleased to offer multimedia sales presentations for each of our personality assessment products.